A swing and a miss. Jason is now methodical and conniving? When did that happen? And they tried to cram both parts 1 and 2 in to one film, but yet capture the very worse parts from the sequels. How does Platinum Dunes keep getting film deals? They also did a terrible job with the reboot of “A Nightmare on Elm Street.” The film was so poorly received that New Line has decided to once again reboot the franchise. 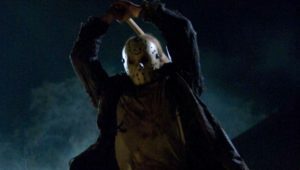 Some of Jason’s kills are decent, but not enough to save this film. The premise sounds terrible with Jason in space and for the most part is pretty damn terrible. However, the first half of this film is enjoyable. 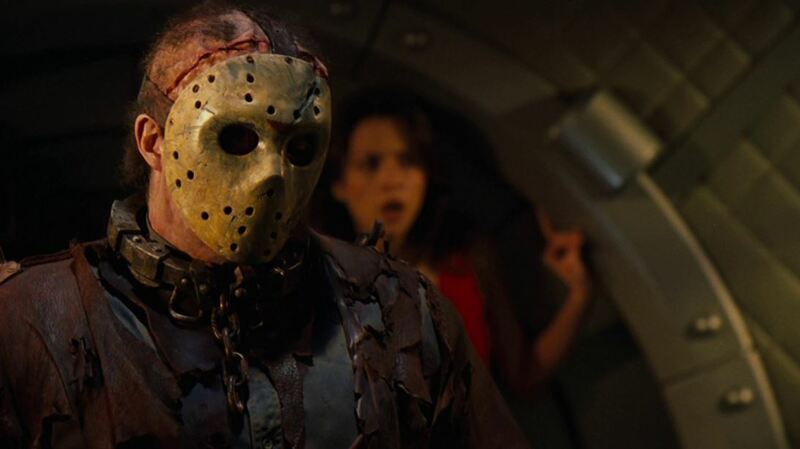 Classic Jason (Kane Hodder reprises the role) doing what he does best. But then it becomes more and more like a made for TV science fiction movie. While there are some innovative kill scenes (the one with the liquid nitrogen stands out) the rest of the movie is mediocre. This movie starts off with so much promise. Cool title? Check! Awesome opening where the police ambush Jason? Check! Then it is all downhill from there. Jason is no longer the hockey masked killer we are all familiar with, but instead a small demon that travels from host to host. And that demon can only be killed by another member of the Voorhees family. Not a whole lot of the film makes sense, throwing out most of the lore from previous films. The effects are great and there are some great kills by Jason. However, it is a major misstep for the franchise. 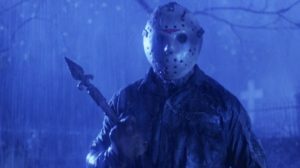 Freddy Vs Jason film is not canon and possibly does not belong on this list. But I’ll be damned if I was not going to add it to this list. The dialog may be weak but the showdown between Freddy and Jason is phenomenal. New Line does a respectable job with Jason, but Freddy steals the show. 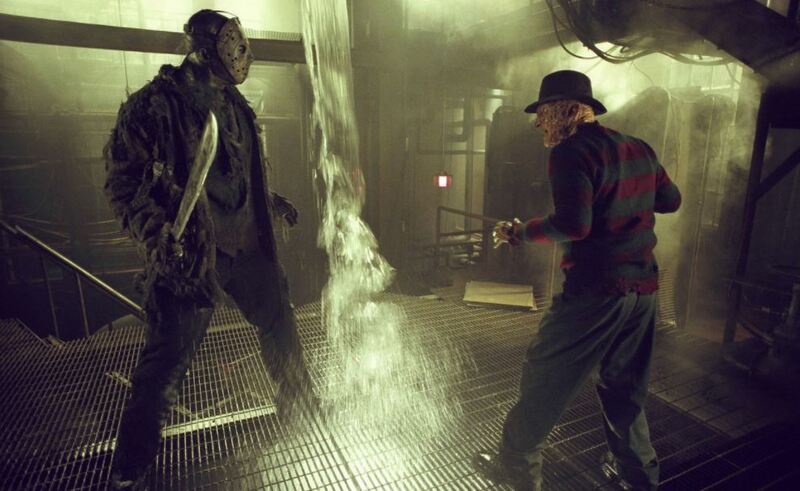 Doubtful we will ever see two iconic horror characters ever face off again. And the special effects are top notch. This reminds me of Halloween 3: Season of the Witch. Not necessarily a bad film, and perhaps it should be ranked higher. But this is not a Jason film. Corey Feldman reprises his role as Tommy Jarvis and that lends some credibility. The film has some really cool kills and is not the worst in the franchise, but the ending is very weak. The subsequent sequel brings back the real Jason. Who knew that Crystal Lake connected to the ocean? Apparently it does, or it does for the sake of this story. It starts off well enough, Jason gets snagged on an anchor and pulled aboard a boat where he starts to massacre everyone on board. Despite the title, most of the film does not take place in New York. Also, the ending leaves a lot to be desired. Was it a hallucination? Does Jason really revert back to a child? 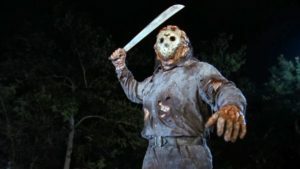 And how does he return to his original form in Jason Goes To Hell? Answers we may never know. Rumor says the film was supposed to take place mainly in New York, but the small budget hampered the film. That explains a lot. Immediately following the events of the second film, and using a similar formula that worked so well in part 2, but this time it was filmed in 3D. It is a decent film bogged down by cheap 3D gimmicks but overall the effects are pretty fantastic given the small budget. 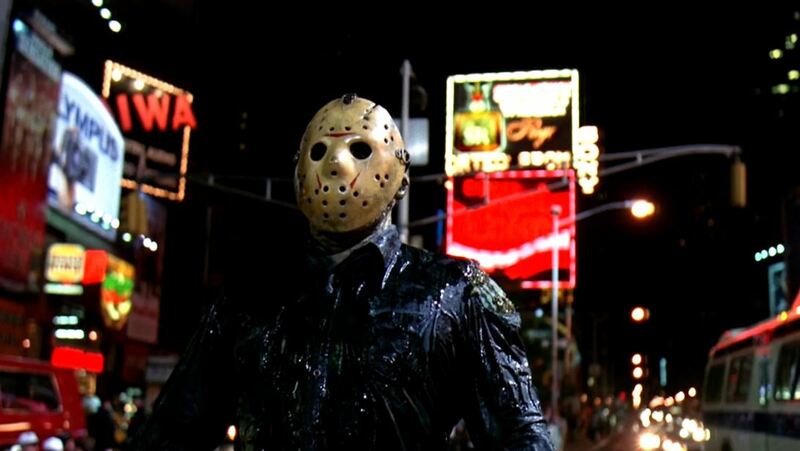 This film is most notable because Jason finally gets his iconic hockey mask. I never got to see this movie in 3D so that might have influenced my ranking of this film. Jason finally shows up, sans hockey mask. The film starts with him exacting revenge on the lady who beheaded his mother. 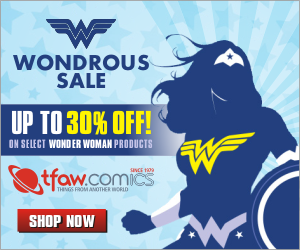 Did you really expect her to get off scot free after the events of the first film? 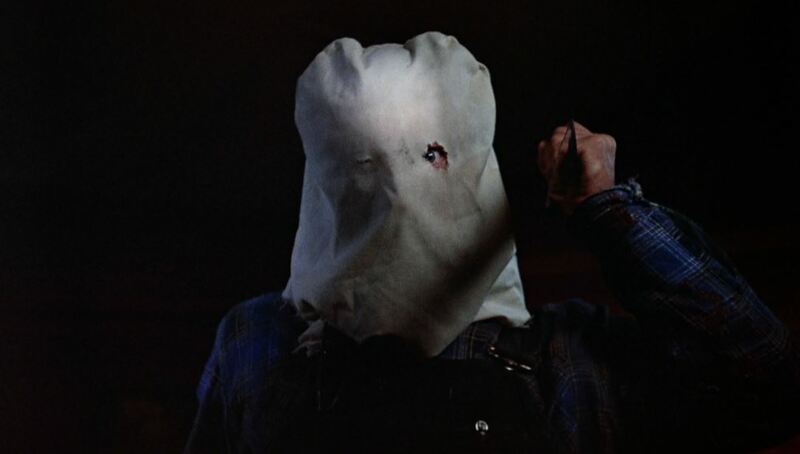 Jason is younger and more energetic in this film, sporting a sack over his face. This is not the immortal zombie Jason we come to expect from later films. However, this is a worthy sequel to the original film. I’m going to get flack for ranking this film so highly, but this is my guilty pleasure of the Jason films. Jason truly meets his match when he takes on a b-grade Carrie, but the fight between the two of them is so fantastic. 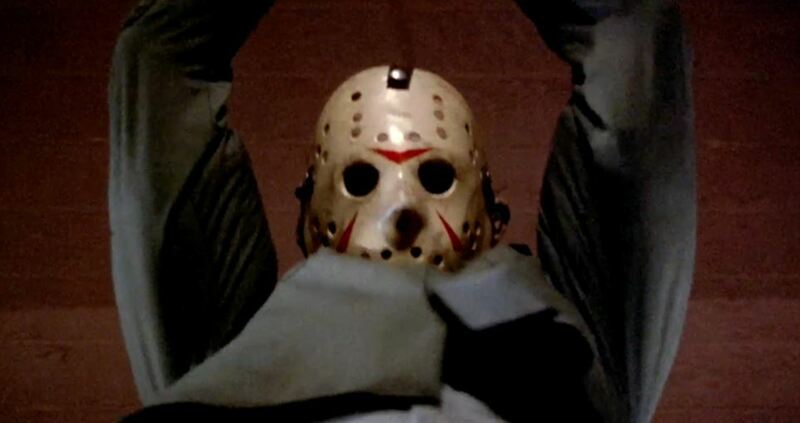 Also, I love the way Jason is raised from the dead in this film, as well as his ultimate demise. 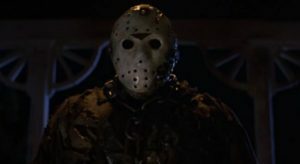 This is also the first film that Kane Hodder would don the mask of Jason. And did I mention the fantastic effects? Probably a high point for the series in the special effects department, with a unmasked Jason looking absolutely terrifying. Jason’s back! After getting hosed in the previous film with a faux Jason, the real deal returns. This time to once again take on Tommy Jarvis. 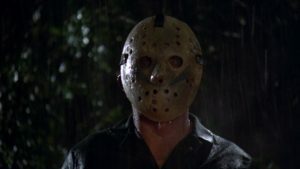 I really enjoyed the resurrection and this is the first time in the film lore we establish that Jason must be sank to the bottom of Crystal Lake, since that is his one true resting place. This film also has some top notch kills. And who knew that Corey Feldman would grow up to look like Thom Mathews? The original that started it all. 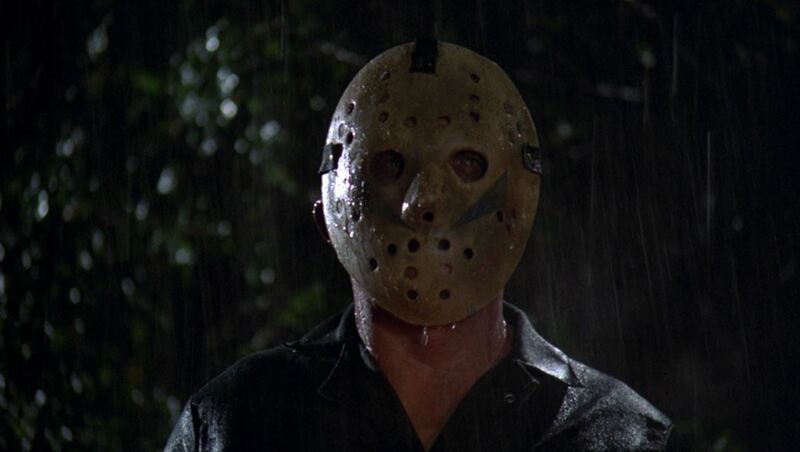 And while most people associate the Friday the 13th film franchise with Jason Voorhees, there is no Jason here. Or, very little of him. Instead we get a pissed off mother seeking the revenge by slaying camp counselors one by one. 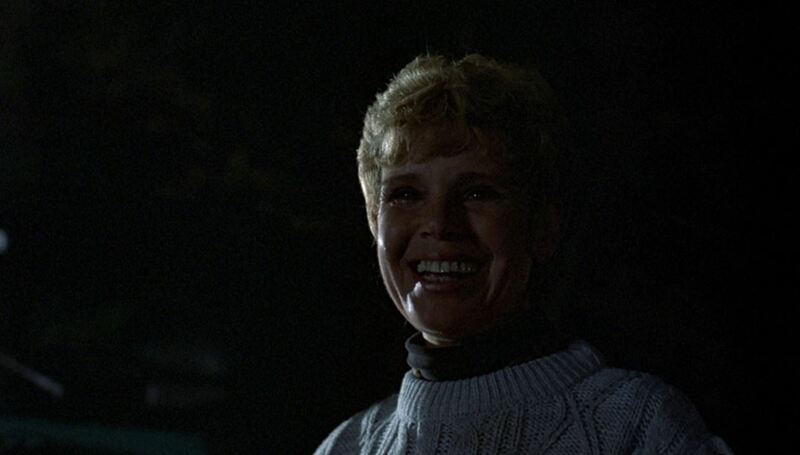 Betsy Palmer does a fantastic job as the crazy Pamela Voorhees. 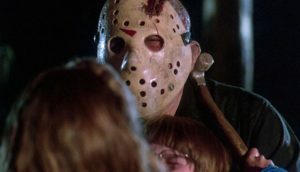 This film introduces Tommy Jarvis, Jason’s only real adversary in the Friday the 13th franchise. Tommy is played by a very young Corey Feldman. The character of Tommy would go on to appear in two more sequels. There is some weird psychology between Tommy and Jason that makes for a more bizarre and interesting film than others in the franchise. The great Tom Savini returns to the franchise (he worked on the original) to provide the effects. Spoiler alert: This is not actually the final chapter. Do you agree with our list? 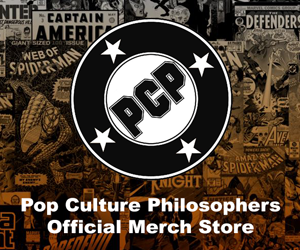 Are you a fanatic of Jason Voorhees ? Comment below and share your thoughts about Friday the 13th, or let us know how you would rank the films. As John said, they tried to add too many films together in one, with little explanation. I’m not against remakes, but this one is bad! This movie is awful. Bad acting, bad set. No camp, no counselors, Crystal Lake looks like a pond wtf? Horrible effects! This isn’t a horrible movie, but with a fake Jason, it had to suffer spots on my list! Biggest kill count in the original 8 tho, and that Cory Feldman cameo at the beginning, whom I’ve also met BTW lol. I think this one gets crapped on a lot but it’s near and dear to me because it’s the first one I remember being aware of coming out at the theater. Love the alternative poster that has an i love NY with jasons face in stead of a heart! Some decent kills but not much in nyc. Should have been called Jason takes a cruise. I ranked this a bit higher. You have to take it as a space comedy. Then you can enjoy it. Another great performance by Kane Hodder. Hockey mask Jason looked great, user Jason was awesome! Note that this story was continued in a series of sci-fi novels where Jason is rebuilt by the nanites once landing on new Earth, they were on his mask with a bit of flesh! Given, it’s got issues, I liked the cast. John d. Lemay was on Friday the 13th the series. How cool is that. Jason looked awesome. Great gore. Great kills. And a Jason vs freddy setup! Awesome film. They should have used Kane Hodder but oh well. Great effects, great kills. Really great watch! Oh yeah and Jason won! Lake, check! Counselors, check! Good old school f13! Baghead jason that needs a shave! Mine broke top 3 John. The best looking Jason by far! Badassery! Great effects! Great kills! One day that uncut version has got to surface! First super zombie jason! Looks awesome! Awesome soundtrack, awesome kills. Good acting and story! This one has everything! Badass jason, awesome kills! Tom savin on fx! Cory Feldman!